If ever there was a time to learn to ski or snowboard in the Northeast, that time is Sunday, March 9, 2014, when three New England resorts showcase for free their new Terrain Based Learning (TBL) programs to first time skiers and snowboarders. No small print. No hidden fees. Just register in advance, show up, get professionally fitted in free rental gear, and have access to instructors for 90 minutes at Jiminy Peak in Hancock, Mass., Bromley Resort in Peru, Vt., and Cranmore Resort in North Conway, N.H.
It’s a first for the TBL Program at these resorts, and a first in at least a decade that beginners are being invited to enjoy winter as guests of the resorts’ ski schools. All three host resorts are part of the Fairbank Group based at Jiminy Peak which has made a major commitment to learning by rethinking the process of transforming beginners into skiers or snowboarders on fun, specially designed fear-free slopes. Adds Tyler Fairbank, president of Fairbank Group, “Through this unprecedented offer, we hope to capitalize on the buzz created by the Winter Games. What’s more, it will be a little warmer, a little sunnier than those days earlier this season when we were all under the spell of the polar vortex. “We believe TBL is a better way to become skiers and snowboarders and hope to expose more beginners to this most intuitive and enjoyable way to learn,” Fairbank says. First time skiers and snowboarders, ages six and up, must register in advance at their preferred resort, then upon arrival will receive complimentary equipment rental, a rental helmet, and a beginners’ lift ticket valid all day after the 10:30 a.m. to 12 noon instruction ($89 value). They will also receive a discount on additional lessons, lift tickets, and rentals through the end of the 2013-14 winter season. 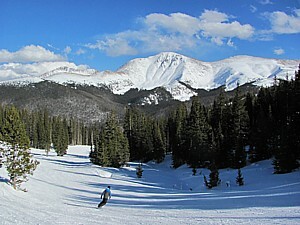 The offer is limited to the first 150 beginners at each resort. Some other restrictions apply. 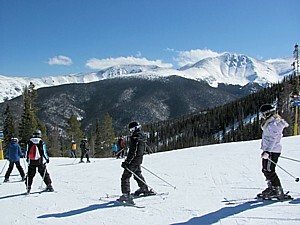 Terrain Based Learning instruction, now a permanent part of each resort’s learning programs, will continue to be available through the end of the 2013-14 ski season. 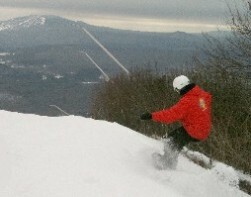 For more information online, visit: bromley.com, jiminypeak.com or Cranmore.com. 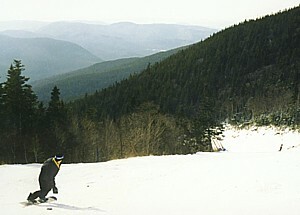 Or call: Bromley (802 824 5522 x 301), Cranmore (603 356 5544 x 333), or Jiminy Peak (413 738 5500 x 3680).